Porto, the country´s second largest city, is in itself full of interest, but the district it heads, though largely industrialized, offers the visitor plenty to see. Along the coast, holiday resorts like the cosmopolitan beach of Espinho, busy ports like Matosinhos, with splendid seafood, or traditional fishing towns like Póvoa de Varzim, but where there is also an animated casino. Inland, for example, the quaint charm of Amarante, with 17th century mansions overlooking the river and famous for a kind of sweet egg pastries called "papos de anjo" (angel bellies). 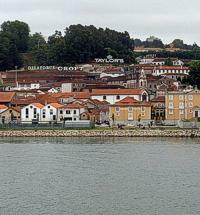 Vila Nova de Gaia, the lodges where Port wine is blended and aged and where you can taste the different varieties, or you may choose to take a river cruise along the Douro. The whole district is filled with prosperous towns, as commerce and industry thrive there, but you can drive along many calm roads with wonderful views over the river or enjoy a rugged and still unspoilt coastline. Espinho Cosmopolitan holiday resort with beaches anda Casino. Matosinhos Matosinhos is, in spite of its industrial port, renowned for its gastronomy based on seafood and also popular for its coastline of small beaches enclosed by rocks beaten by the sea. Matosinhos also boasts of a valuable patrimony visible in monuments such as the Monastery of Leça do Bailio, the first headquarters of the Order of Hospitallers in Portugal and with a 14th-century fortified church exhibiting Gothic arches and a beautiful rose window. Póvoa de VarzimThe ancient town of Póvoa de Varzim received its charter in 1308 and has developped over the ages from a poor fishing community to a resort popular for its sandy beaches and amusements, including a casino which animates the local nightlife. Amarante Crossed by the river Tâmega and surrounded by mountains, this pretty town proudly displays its 17th century mansions, with colourful balconies of painted wood brightly decorating the narrow streets, its restaurants with terraces overlooking the river or the beautiful bridge of São Gonçalo which leads to the great monastery of the 16th century that bears the name of the same saint. emblazoned with well-known names, and over fifty companies based in narrow and twisting streets are engaged in blending and ageing the famous drink. Some of them offer guided tours so that visitors may see how Port is made and taste different samples. Oporto Golf Club This course is located 17 kilometers to the south of Oporto beside the beautiful beaches of Espinho. It is, after Pan, in France, the second oldest course in Continental Europe. It was established in 1890, when British residents in Porto created the club. 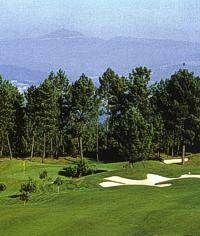 Miramar One of the oldest Portuguese golf courses and one of the most traditional in the country. When the course was inaugurated in 1932, Frank Gordon and Arthur Mariani were jointly responsible for the design, a nine hole course for Par 34 over 2.579 meters. Amarante Located in the estate of Quinta da Deveza and is set on a delightful landscape - with the towns of Amarante and Marco de Canaveses, as well as the mountains of Marão and Aboboreira, in the background. It is a narrow, winding hilly course, calling for great accuracy, particularly at the bunkers protecting the greens and at the lakes that are brought into play at holes number 3, 8, 12 and 17.